Who should star alongside LeBron James in Space Jam 2? Okay, so we all kind of, sort of knew it was going to happen eventually, inevitably, but finally, it’s official. On September 20, LeBron James and his production company Spring Hill Entertainment hinted—via a very well-thought of and intricately detailed Instagram post—that a LeBron James and Bugs Bunny movie is happening. The post is a cryptic image of a locker room with Tune Squad gear, a piece of carrot, a “Daffy was here” vandalism, a Nike gym bag, a pair of Nike LeBrons, and these names and their respective positions: Bugs Bunny as point guard, LeBron James as small forward, Terence Nance as director, and Ryan Coogler as producer. That’s it. That’s the post—no dates, no cast, no title. I have a few questions. Where’s Daffy’s locker? Why are Nance and Coogler in the dugout, shouldn’t they be getting office desks? Will Bugs request to be traded to Boston by the end of the movie? What will this movie do to the GOAT debate? Is this thing even going to be called Space Jam 2? LeBron’s business partner Maverick Carter said the LeBron-Bugs team-up is a reboot of the original, not a sequel. So…Space Jam, Too? Space Jam: The Chosen One? Space Jam: A Kid From Akron? Space Jam: Better Tomorrow? Space Jam: Shut Up and Dribble? There are endless possibilities now that Nance of HBO comedy series Random Acts of Flyness and Coogler of Black Panther and Creed are on board to give the highest grossing basketball film a much needed update. On Rotten Tomatoes, Space Jam was slapped with this review: “A harmless mishmash of basketball and animation that’ll entertain kids but leave adults less than thrilled.” I doubt we’d get the same “harmless mishmash” from Nance and Coogler. I doubt the new Space Jam will be anything like OG Space Jam. If the original got its feet wet on creating a meta NBA universe, LeBron’s woke Space Jam will surely venture into the deep end by shattering stereotypes, shocking us with insane cameos, and constantly winking and nodding to NBA Twitter. Let’s do this. Let’s hop on the freaking banana boat and experience the thrills (and suffer the consequences) of answering this question: Aside from LeBron James and Bugs Bunny, who should be in Space Jam 2? Sorry Isaiah Thomas, the Muggsy part should go to either Chris Paul or Dwyane Wade—you know, for the banana boat culture. Kevin Love deserves to be in Space Jam 2 because of 1) his humor, 2) his D on Steph Curry on the last possession of the 2016 NBA Finals, 3) Cleveland love, 4) that sad image of him not getting a high five from LeBron. Carmelo Anthony has it if he wants it, but in case he hasn’t made it clear yet: Carmelo Anthony doesn’t take small roles. Give this to Sue Bird. As proven in the 2018 WNBA Finals, Sue’s good in any role. When Space Jam came out in ’96, Sir Charles had been named MVP and a perennial All-NBA First Team member, but—sadly—no ring. Who’s that guy in 2018? JaVale McGee is the first name that comes to mind, but Shawn Bradley’s sole contribution in Space Jam is that he gets to talk trash with The GOAT (“He probably doesn’t have it anymore, guys”). JaVale can’t do that to The King. 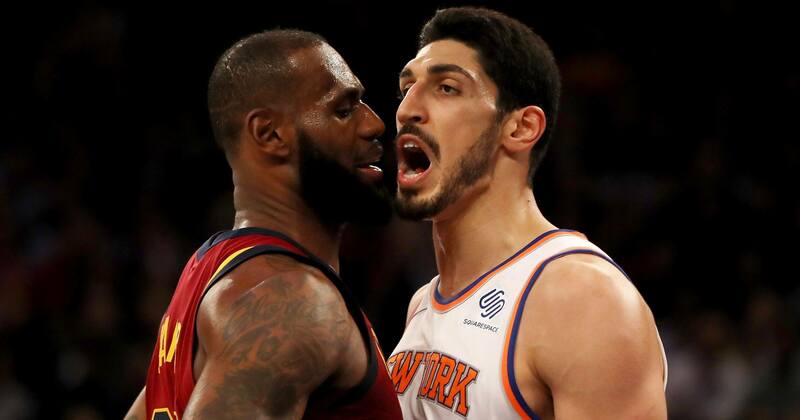 The only human soul really qualified to bring that same energy in the LeBron James era is Enes Kanter. End of discussion. Bring everyone back: Porky Pig, Tweety Bird, Sylvester, Pepe Le Pew, Foghorn Leghorn. But cut Yosemite Sam and Elmer Fudd from the team. Guns are cancelled. In Space Jam, these three were minor role players on the Tune Squad’s starting five, but they’ll have to be better when they share the court with LeBron. Daffy will have to know the game clock AT ALL TIMES, Taz will have to stay put for an open corner three, and Lola Bunny will have to be less “Bugs Bunny’s girlfriend” and more Diana Taurasi. Actually, Lola Bunny should be equal parts Diana Taurasi’s supreme confidence, Doris Burke’s goddess-like tranquility, and Beyonce’s balls. The Golden State Warriors as the Monstars is too easy. I’d much rather see LeBron do battle against a ragtag group of guys that have a bone to pick with him. Also, LeBron trying to get along with the Tune Squad is a monstar in itself. Also, if there’s any way we can jam in a Lance Stephenson cameo, that would be great. Also, if there’s any way Kendrick Lamar can do the soundtrack, that would be awesome. 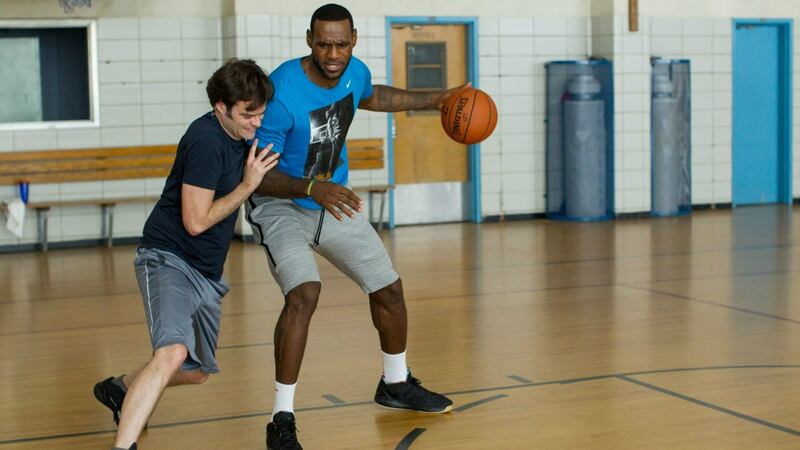 Kevin Hart is the obvious choice as LeBron’s goofy, fast-talking publicist, but if their great chemistry in Trainwreck was any indication, then Bill Hader is the man. Clearly, either Tim Duncan, Dirk Nowitzki, or Kobe Bryant. Timmy for unintentional comedy. Dirk for intentional comedy. Kobe for an Oscar-worthy performance. Bill Murray is old and should…not be replaced as he is irreplaceable and perfect and should never be recasted and the mere thought of recasting Bill Murray is unforgivable and I apologize in advance for the idea. 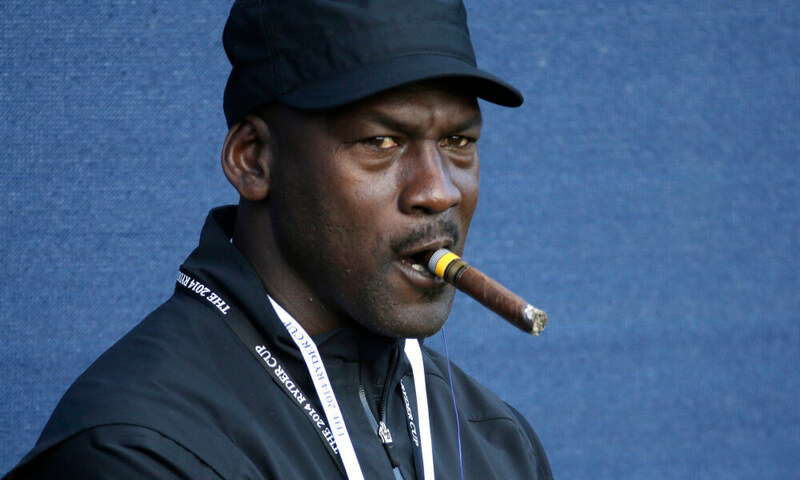 For the new version, the character of Mr. Swackhammer should get a villain upgrade and voiced by, who else, evil Michael Jordan—a cigar-smoking, badly-dressed baddie who roasted EVERYONE in his Hall of Fame speech. In the movie’s climax, MJ challenges LeBron to a game of one-on-one to finally settle the GOAT debate. I’m all in on Space Jam 2. LeBron, shut up and take my money.